A mountain bike race to cure all ailments known to man including sleeplessness, anxiety and mountain bike withdrawal symptoms. 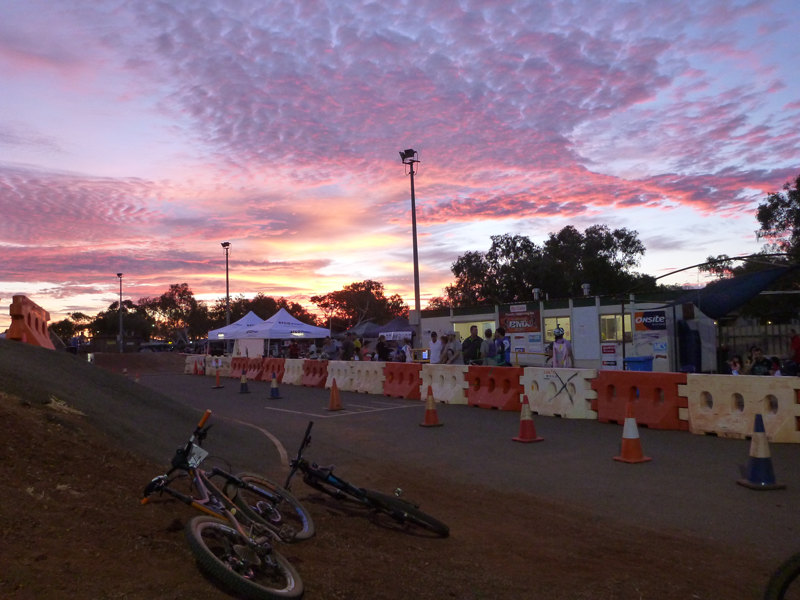 Sounds like a bit of fun to me, I thought weeks prior, as I filled out the race form for Yara’s Dr Baynton’s 6 hour race in Karratha, a Pilbara town in the northwest of Western Australia with an enthusiastic local community of mtbers. While the thought of six hours of trail cycling bought on some nerves, in hindsight as a duo team, we would be tag teaming through the race, giving each person a break while the other person continued along the 10 km course. On Saturday afternoon, race day, a little late to arrive at the BMX track we rushed around to registration passing a good gathering of riders and spectators, marquees and eskies all set up. We signed in and grabbed our race plates which would electronically record the laps. Everyone was ushered to the start line for the welcome and important briefing for some, 150 riders that all too, suffer mountain bike withdrawal symptoms. When a group of like minded people get together, in my opinion only good things prevail. At least we would all be getting our fair share of mountain biking. A siren blasts and the riders are off, stirring up a red dust storm as they make a bee line to single track. Derek’s on the first lap and as the crowd disperses, I look around and figure out what to do. A quick rush to register and set the bikes up, I probably have at least 40 minutes before it is my time to cycle. First is first, park the bike and then have a wander around the race village. 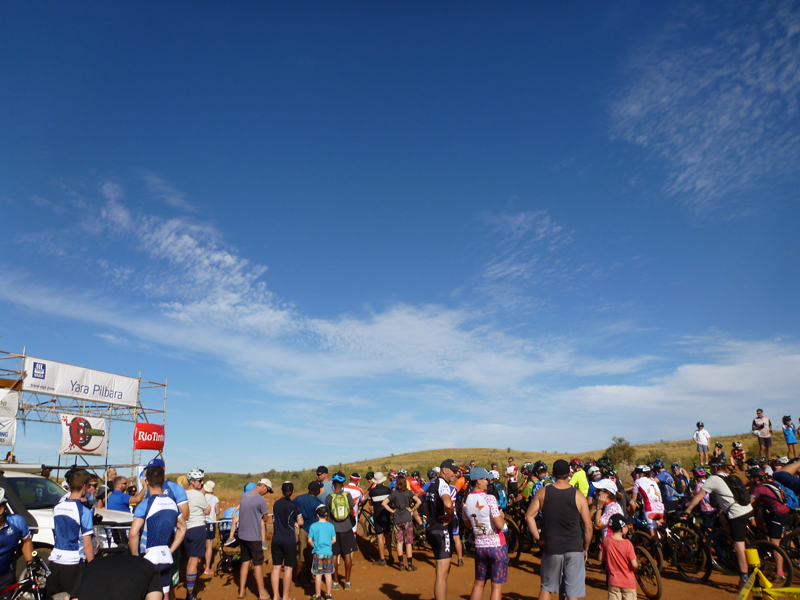 The set course meanders through Pilbara back country before descending towards and through the BMX track to the rider transition area. Not too sure about the whoops in the BMX track, I go off and find a vantage point where I can watch how the riders approach them. Turns out they can be rolled over really easily on the mountain bike! Also turns out to be a lot of fun! The kids travelling on a shorter loop come in first with speed and energy – clearly having a lot of fun. Soon enough everyone starts to trickle in and it’s time for me to wait in the transition area. 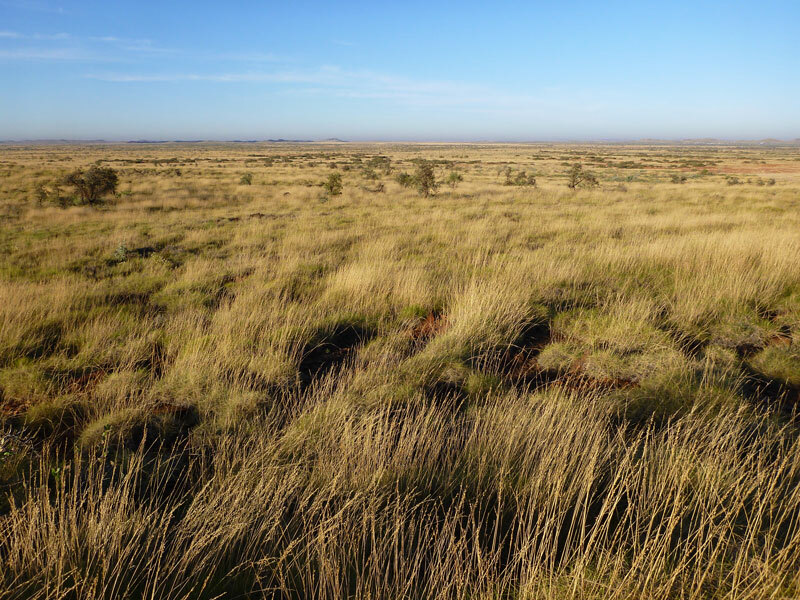 June in the Pilbara is superb warm weather of clear skies and a cool breeze, similar to a Perth spring. I spot Derek’s highlighted yellow sneakers and when he rolls in and we high five, I’m off just like that into the red dirt. The course through rocky landscape travels up and around hills, ridge lines, down through flat grassed plains and crosses dry creek lines. There are a couple of berms and rollers too. A mixture of mostly single track and some 4wd tracks. A bunny hop is a helpful skill in the Pilbara for an mtber. Helps with all the rocks and it’s a skill I am still developing. Riders encounter small surprises along the course like a zombie in a tree or a radio blaring I’m a barbie girl and even Bicycle Race by Queen, appropriately placed on an uphill section when a bit of light hearted humour rises the mood. The view is pretty amazing, open country for as far as the eye can see and yet still a five minute drive in the other direction from town, coffee and food. 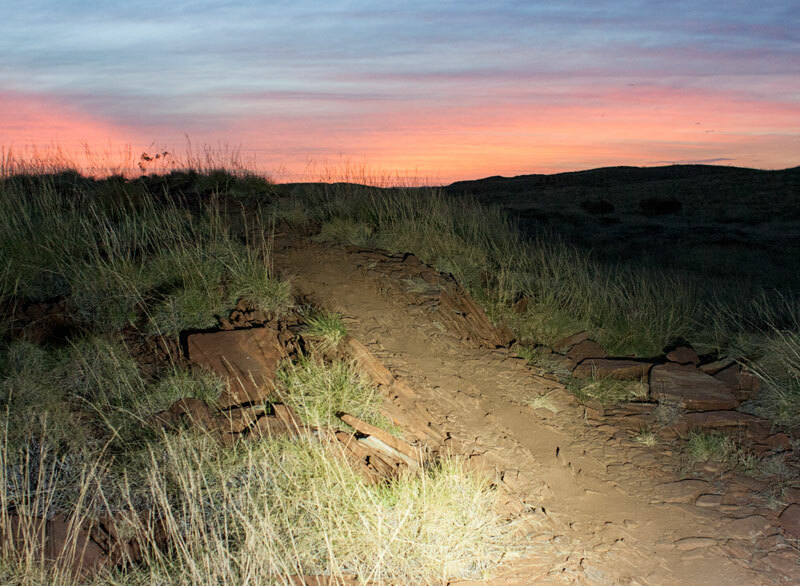 On lap two, photographers from the local Red Dog Camera Club appear along the trail making us mtbers feel a little special. Sunset comes and goes in spectacular fashion, just like the riders with much enthusiasm and cheer. The music volume in race village is turned up and everyone is in the swing of things, settling in for an evening of cycling. For us, the breaks in between pan out to be 35 to 45 minutes, allowing enough time to build up some renewed energy with the assistance of energy snacks and sticky sachets. The time feels like it passes by in a blink of an eye. Completing lap three (lap 6 for Happy Go Lucky team) and high fiving Derek to begin his fourth lap, a scent of savoury food pulls me away from the bike in search for something more than sachets and muesli bars. The BMX club offer a delicious menu in their canteen, chilli con carne, potato bake and chips are some of the delicious items. My biggest regret for the evening was not pre-ordering a meal as the first two understandably sold out – perfect mtber food. Derek rolls in tired and I’m still sitting at the table eating – woops! It’s eight o clock and I contemplate doing a lap to even us to a total of eight laps. I’m hesitant for about 15 minutes though, but, dusting my hands from chip salt and standing up. I’m going out on the trails and making the 8 laps. For the team! For Happy go Lucky! I pedal into the pitch black evening and towards a procession of other riders, lights glimmering in the quiet distance. There is nothing but trails, 4WD tracks and vegetation. Oh and the local wildlife. While I thought most would be scared off by the bikes, Derek did have to give way to a snake crossing the trail back on lap two. It’s all part of the Pilbara experience. My bike light flickers indicating the battery is beginning to lose power and I reassure myself that if it were to go flat I have my phone. Though not an ideal situation to be in. Lap 4 is a slower paced ride and the first half is powered on adrenaline, however, the effect of the first couple of hills depletes the energy, my thighs and lower back are aching but oddly enough I’m still smiling. There are less people on the trail and I cover most of it alone. I approach three hills, up and down, like a camel’s back. 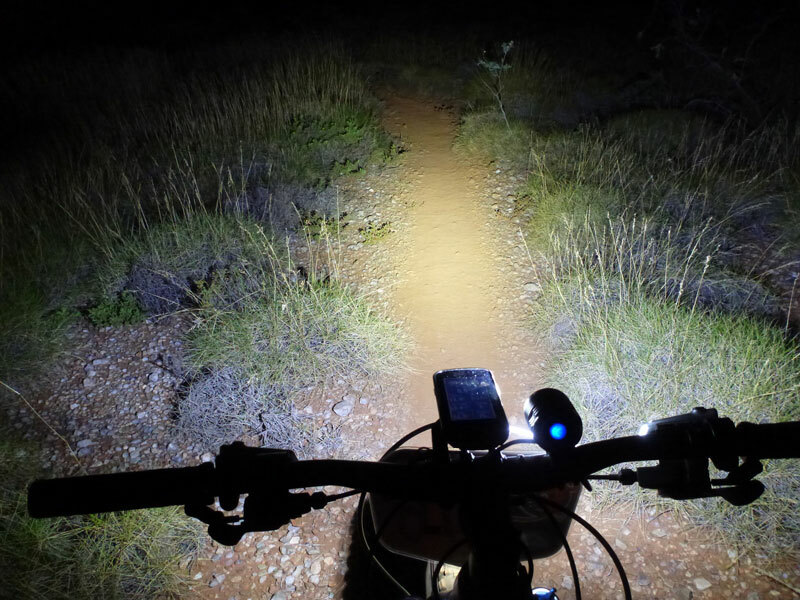 The rear wheel slides into some loose rock and one of the ladies I’ve made friends with comes past, encouragingly yelling, you can do this, her cape flying in the air as she disappears into the darkness. Riders were encouraged to dress up for the event. Lights of the BMX track emerge, as does the realisation the final stretch is ahead. I enter the BMX track, up the steep yellow brick road hill, I just make the hill as some people up the top yell out in encouragement – you can do it! I turn into the track with all lights on and pedal faster and over the whoops with a quick glance to the side to find Derek with his hands waving. Awesome we did it – cured our mountain bike withdrawal symptoms! It was kind of empowering riding along with other riders of varying skills, while hard to imagine one would be feeling euphoric covered in red dust and feeling tired all over, being a part of the evening certainly did spark some hidden determination on the trails during those 6 hours. Riders from elite to beginner sharing one trail at the same time may sound a little hectic but in all honest truths the mateship on the trail was fun and encouraging. 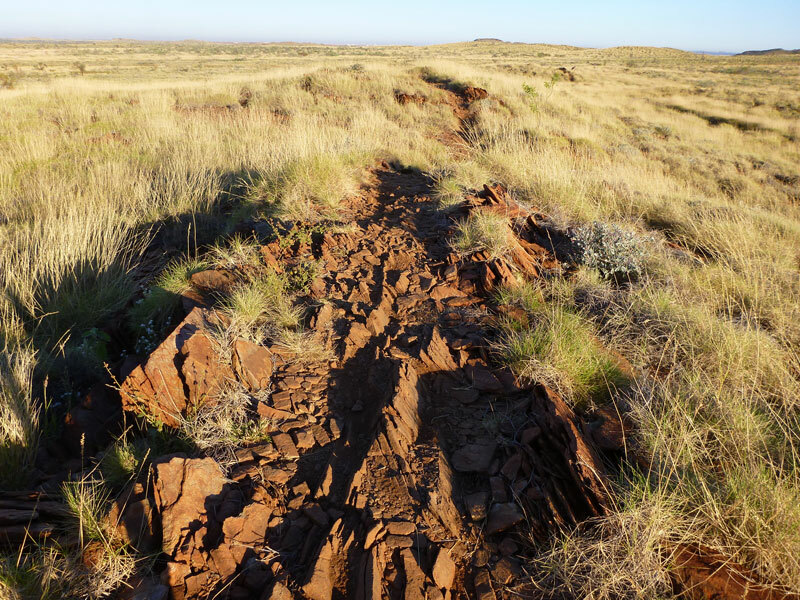 I find myself a little clumsy on the Pilbara trails and not wanting to disrupt another riders journey, hearing some of the elite say you are okay, I’ll pass when you are ready and safe was really reassuring for this newbie race contestant. The completion of the 6 hour race was credited to a mixture of adrenaline, support from other riders during the entire night and just being a part of all the fun. A valiant effort by all. While we just rocked up for the event, the race was planned and put together by a bunch of incredible local mtbers from the Burrup MTB Club as well as a long list of sponsors. As for next year, heck yeah and if this sounds interesting then I think you should come along as well! Get a team of four together and its even less riding or push yourself and go for solo like so many awesome riders did this year. I’m so glad the people we met on the trails during our casual rides in Karratha encouraged us to do the race because we probably would have dismissed 6 hours as too long but in actual fact it was not.